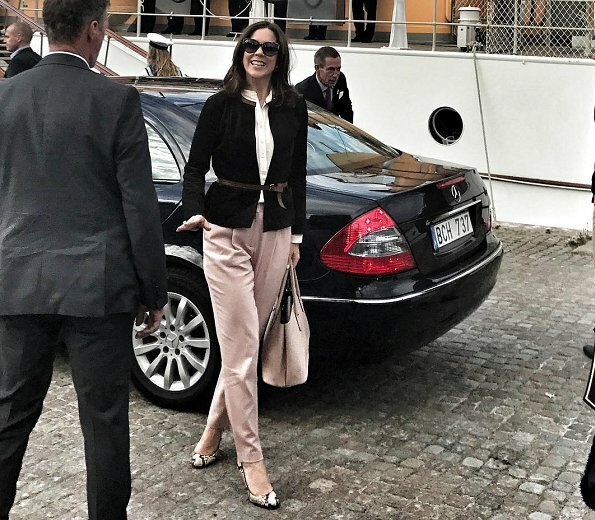 Crown Princess Mary looks really lovely. Love her casual, yet beautiful outfit. She has such a great figure. 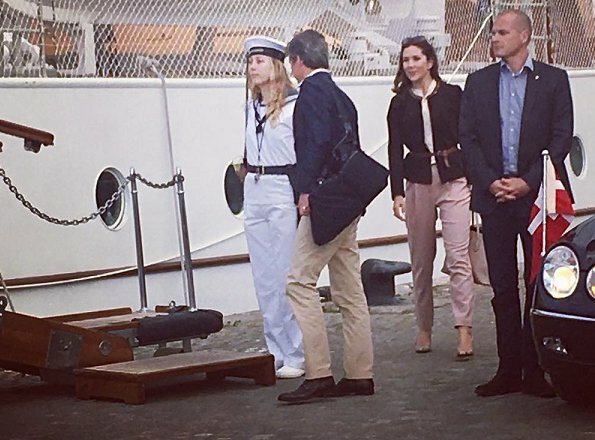 CPss Victoria was an improvement with her ponytail but from the front the same hair as prince Daniel's hair :D It was good to see prince Carl Philip also present. 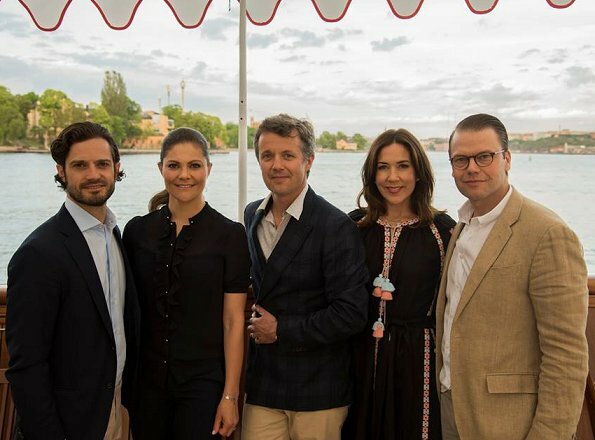 He and Crown Prince Frederik look very handsome (even though Carl Philip needs a haircut and beard trimming). never seen duchess kate in a well tailored trouser like Mary, leitizia, Charlene!! All very simple but lovely outfits. 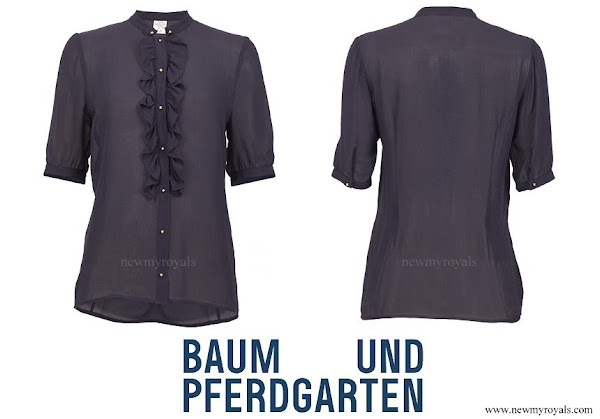 I really like Victoria's blouse and her hair looks great pulled back like that. I wish she would wear it down or in a ponytail like this more often... Mary's outfit is nice, but not my favorite. I think if she were to take the belt away, it would look much better. I prefer the dress she's wearing in the first picture over her other outfit though. Mary's dress is too folkloric and a bit juvenile but I love the second pants outfit, especially the soft pink colour in the pants and bag. She looks sweet and young with her hair loose. I despair of Victoria's hair. Its severity just does not suit her face and it cannot be good to have it dragged back so ruthlessly all the time.